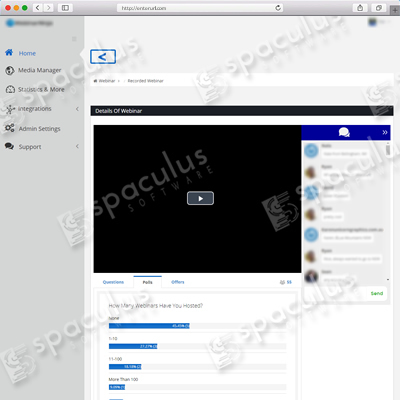 This project was developed to facilitate the users for live video and audio online seminars called webinars. 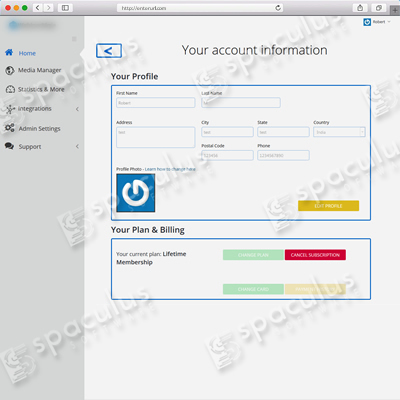 Here users can create webinars and can go live with other users too. 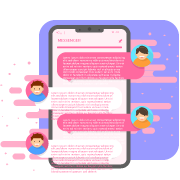 Other users can view the webinar presented by the host user and can also share their views with each other through an internally built chat functionality. 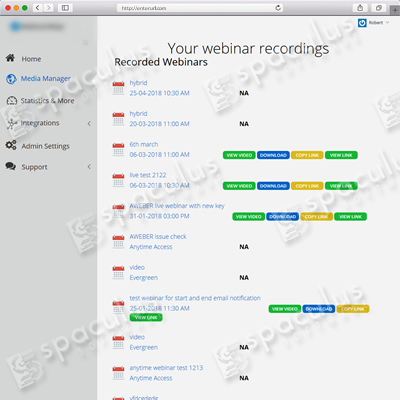 There are five different types of webinars which user can work with. Detailed Statistics related to all the webinar are maintained within the system for user reference. User can use this system free of cost for 14 days and after that they need to register themselves with the system to use it. The main purpose of this project is to facilitate people to perform online seminars also known as webinars. Webinar is the platform were a host user can create webinar (live or recorded) for other users sitting anywhere in the world. 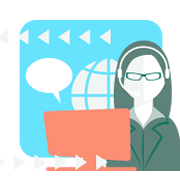 Facility of live chat, questions, polls, offers enable attendees to communicate with the host and/or co-hosts. 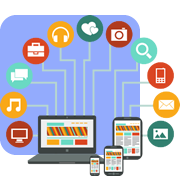 This system also provides the facility to the users to have live webinars, Recurring webinars, Evergreen webinars, Hybrid Webinars and Anytime access webinars. 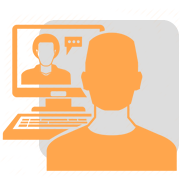 Live webinars, here the host user performs live video, audio, chat, screen share, slide show with other logged in attendees. 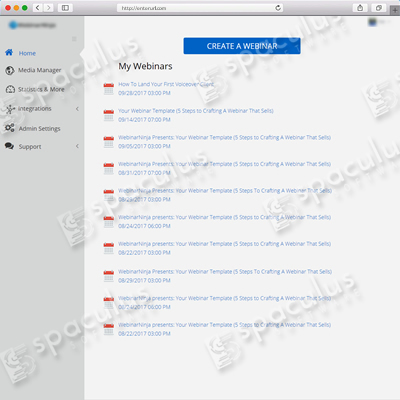 Recurring live webinars, here host user can create set of webinars and can share with other attendees. The host users and all registered attendees meet up for online session at fixed time. Evergreen webinars, these are the pre-recorded videos which any attendee registered to a particular webinar can view. They will not get the facility to question or answer poll questions or avail special offers. Hybrid webinars, these are also pre-recorded videos which any attendee registered to a particular webinar can view. Attendees can put up questions regarding the webinar, can answer created polls by the host and also can avail available special offers related to the specific webinar. Anytime access webinars, these are pre-recorded webinars which can be accessed anytime. Host gets facilities to view/download/copy link/view link for all the created live webinars from the host panel. 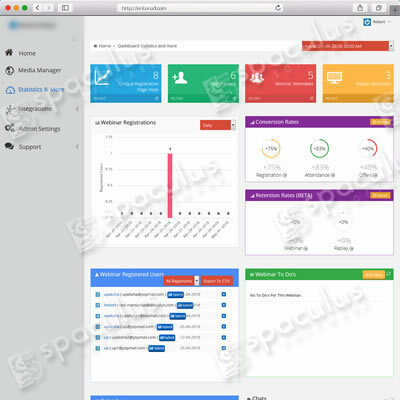 They can also view all the vital statistics of a particular webinar. This system also sends a series of notification emails to all the registered attendees before and after the scheduled webinar using email API. User can also contact support center available for 24 hours for any kind of support. The Calendar is an awesome tool inside the Statistics and More page that can help you organize your webinar schedule, and it’s very easy to use! We have integrated some Email Marketing Platforms (EMP) with the system to help you get the emails you will collect from your webinars.